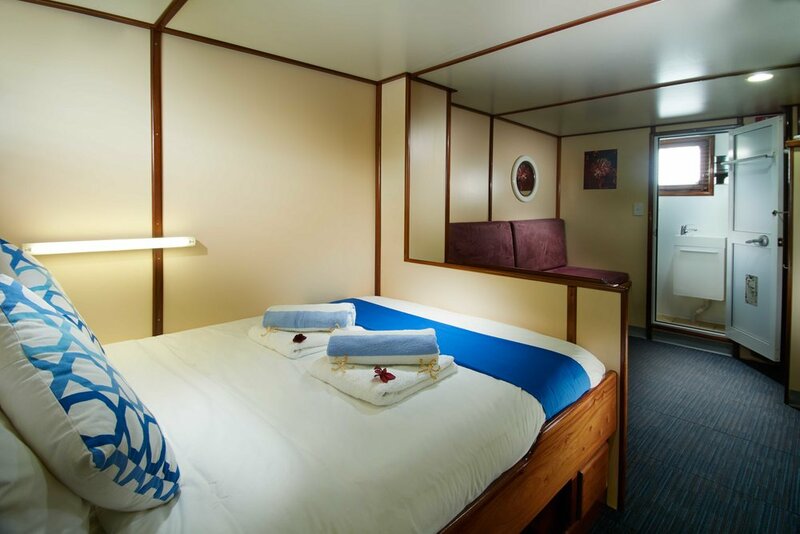 Solomons PNG Master features six Upper Deck cabins all with ensuite facilities and six Lower Deck cabins with shared bathrooms. 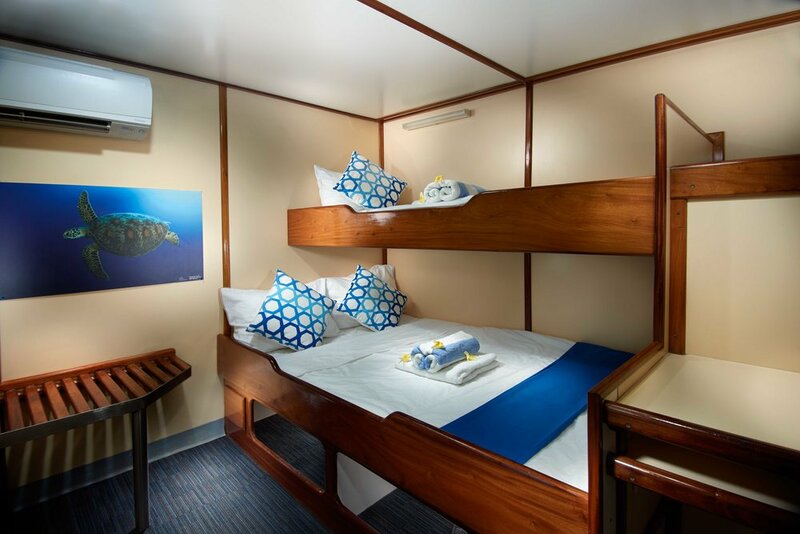 All cabins are fully air conditioned and come with reading lights, towels, bedding, charging stations, fire warning systems, and fire extinguishers. Hair dryers and iPod docking stations are available on request. These spacious rooms feature a double bed with a twin bunk above and are suited towards a couple or buddy team. Each cabin has a seating area, ample storage and a full ensuite bathroom. 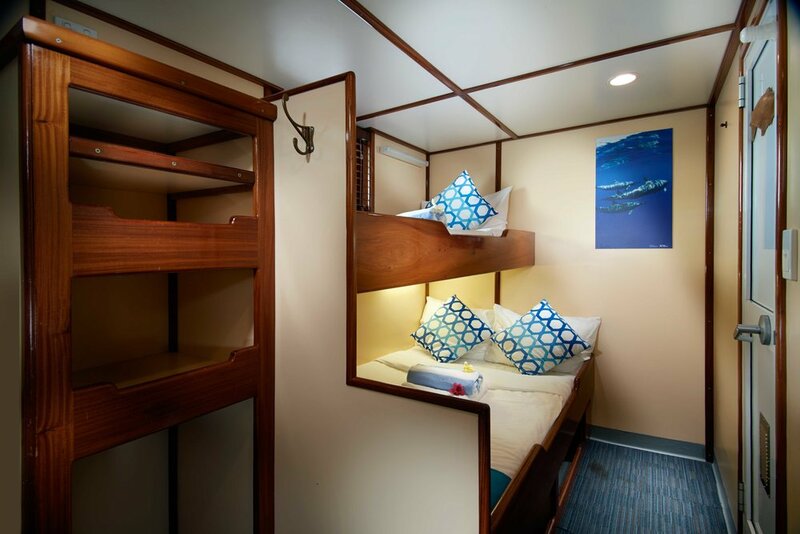 Located on our upper deck, Cabin 1 is ideally suited towards a buddy team. This cabin is fitted with twin bunks, two storage areas and an ensuite bathroom. We have four cabins that may be booked on a single basis. 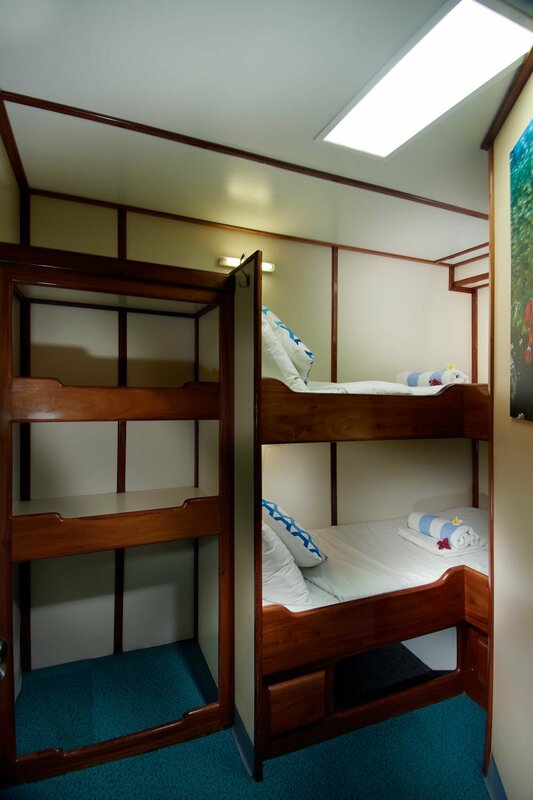 Each cabin has two twin bunks - one for sleeping and one for storage. Five bathrooms, located on mid deck, are equipped with toilet, sink and shower and are shared. Two large cabins are available on a twin share basis. 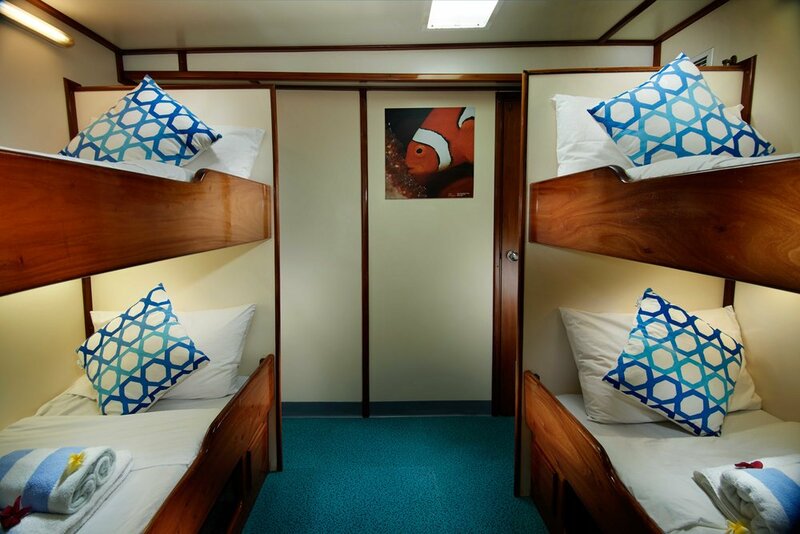 These cabins have four bunks each - two for sleeping and two for storage. These cabins are perfect for travelling dive buddies or photographers with plenty of equipment. Five bathrooms, located on the mid deck, each equipped with toilet, sink and shower are shared.